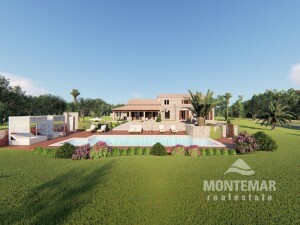 Fincas & Villas for Sale in Cala Murada | MONTEMAR S.L. The village of Cala Murada belongs to the municipality of Manacor and is located in the south-east of Mallorca. Once a fishing port, it has evolved into a quiet, cultivated holiday resort. The history of Cala Murada is shrouded in legend: A stronghold for smugglers and spies is said to have been located here - but at any rate since the end of the Franco regime there has been not much evidence of it. The ideal place for your villa or finca, if you don't want to be far away from the experience miles of the Majorca holiday cities, but you are looking for a place to live in rather quiet areas. Contemplative, but modern, everything that the heart desires is offered here; the residents like to make their way to the next larger town for more extensive shopping, while living in a village-like atmosphere which offers basic shopping facilities. The local handicraft and art exhibitions are particularly popular. 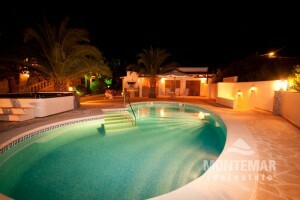 Sit back and relax while we at Montemar Real Estate take care of your real estate purchase. We always have current vacant properties in our exquisite offer, which we will of course present to you if they correspond to your interest. This saves you the trouble of having to take a few flights on the occasion of a tour, which in retrospect turn out to be superfluous. So we will walk the way to your new finca or villa in Cala Murada together - to your complete satisfaction.